Due to a rare genetic condition called tetrachromy, the artist Concetta Anitco from California can see 100 times more colors than the average human being. Most of us can see up to a million colors but she can see hues that don’t even come into our awareness – 99 million of them. Are traits like Anitco’s starting to happen more often? Is human DNA mutating due to unseen influences making us into super-powered Gods? In Anitco’s case she has four different types of cone cells in her eyes which allows her to absorb more varied wavelengths of light that are then transmitted to the brain, into a veritable rainbow of colors. Only a handful of technochromats have been discovered, with 12% of women being found to have the extra cones in their eyes but only a few with the ability to see extra colors — but there are indications that other ‘super powered’ humans are out there, with other skill sets. Most of us can only see, in any color, about 3 miles away. This is called the absolute threshold for vision. Physicists have proven, though, that some people can see beyond time and space, making a star trillions of miles away ripe for observation. Closer to home, psychics “remote viewers” working for a CIA program at Stanford Research Institute (SRI) in Menlo Park, California, were able to find a downed Russian bomber in Africa, describe the health of American hostages in Iran, and locate a kidnapped American general in Italy. The same psychics also described Soviet weapons factories in Siberia, observed a Chinese atomic bomb test three days before it occurred, and performed countless other amazing tasks. Another odd-ball is a man who can hear wi-fi. Frank Swain doesn’t have a genetic mutation, but souped up hearing aids that allow him to hear wi-fi signals everywhere he goes. There are rumors that a real-life Wolverine exists, just like in the X-men stories, along with other individuals displaying additional super-human-powers. There are documented super soldier programs were the government has experimented with augmenting human abilities. DARPA has shot up men and women with plutonium, tested ESP skills, and even subjected Navy Seals to nerve gas. In fact, the recent CIA declassified, CREST document files suggest that the US government along with Stanford University has been testing remote viewing, extra sensory perception, and telekinesis, along with other super human powers for more than five decades. Then there’s DARPA (Defense Advanced Research Projects Agency) which has a public budget of over $2 billion annually to develop super-human traits I human beings – not to mention their black budget operations which we don’t get to hear about until decades later, if at all. One of these projects includes research into a phenomenon we saw in The Invisible Man, as well as numerous comic book heroes with the power to make themselves disappear. Many of these fictional characters may actually be based in real technological advances. For example, DAPRA is experimenting with terehertz frequency electronics and meta-materials which is an area of energy between the electromagnetic spectrum and microwaves. Research into THz electronics has applications in the construction of so-called meta-materials, which would lend themselves to use in cloaking for jets and equipment and even making humans invisible. The truth is though, that it doesn’t take irradiated super soldiers to develop special ‘super’ powers. Eighth-century Buddhist master Padmasambhava called moving from conditioned awareness to spacious or naked awareness a possibility for everyone who practiced meditation or who could elevate their consciousness utilizing other means. Swami Vivekananda talked about “oneness of mind,” and said “there is nothing supernatural”about a person that is born with psychic power. 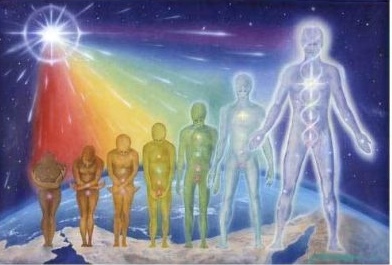 We will all develop ‘super-powers’ as we evolve spiritually. Parkaya Pravesh – Being able to inhabit someone else’s physical form, including someone who has been pronounced dead. Haadi VIdya – Someone who does not experience hunger or thirst, and can thrive on other energies in the Universe. There has already been evidence of this super power existing in Prahlad Jani who is said to have hardly eaten in 70 years. Paramahansa Yogandanda talks of this power extensively in Autobiography of a Yogi as well. Anima Siddhi – The ability to shrink oneself into a tiny size. Mahima Siddhi – The ability to increase one’s size until it merges with the Universe. Kaadi Vidya – Someone with the ability to not feel cold, warmth or any extreme in the seasons such that they could sit in the Himalayas for months entrenched in snow and not become ill. Tibetan monks have displayed the ability to warm their skin, even making wet blankets steam due to their mastery of consciousness. Vayu Gaman – This is the ability to move from one space to another, thousands or more miles away in the span of an instant. Swami Vishuddhananji is said to have displayed this skill scientifically, and also lived to be 300 years of age. Laghima Siddhi – The ability make one’s body lighter than air, and travel in space. Khanakdhara – The ability to amass great wealth. Prakya Sadhana – The ability to make the infertile, fertile. Surya Vigyan – The ability to change physical forms into something else – such as Swami Vishudhananda purportedly being able to change a piece of paper into a rose, or a cotton ball into gold. Ishita Siddhi – The ability to transmute the laws of nature. There are stories of masters being able to move an entire population to a safe harbor when they were going to be devastated by a great storm. In short, science (and our government-funded academics) are constantly trying to keep up with the profound abilities we all are capable of discovering as our consciousness evolves. As they try to mimic these super-normal skills, we evolve on our own to display super-hero-type powers naturally. Seeing 99 million colors, living on sunshine alone, or being able to observe things trillions of miles away is just the beginning of what we will accomplish as we continue to transcend this mundane reality.